﻿ The Good Life Blog | Happy Halloween Thrifting! 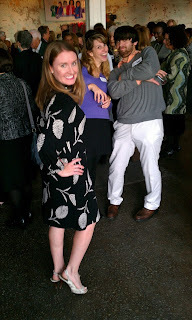 This week’s guest blogger is Tracie Broom, publisher of food & travel blog The Yum Diary. 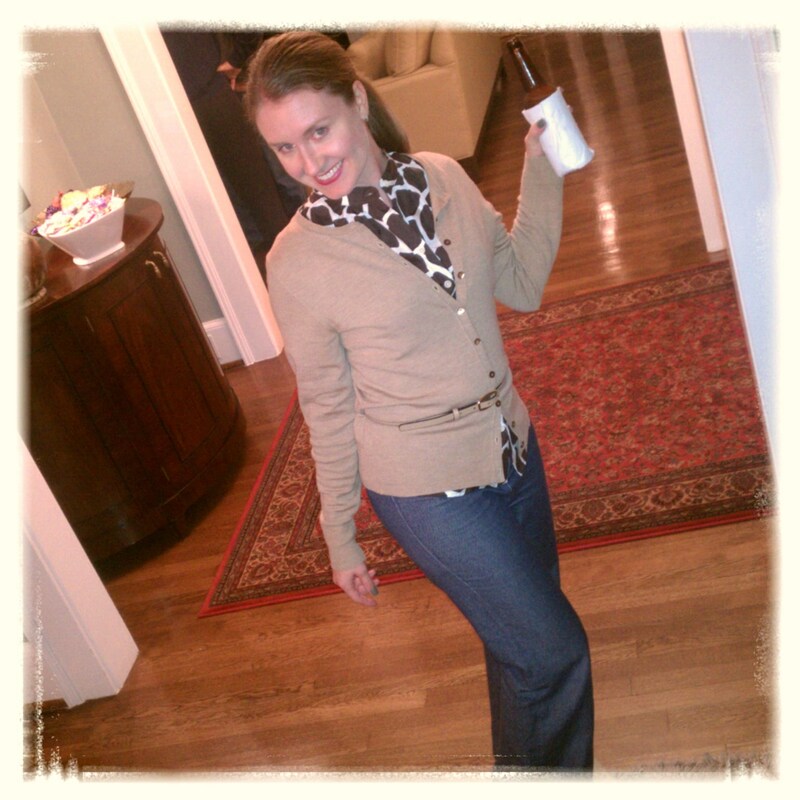 She is also partner at Flock and Rally: Events & Communications for a Brave New South, where thrifting for party decor is de rigeur — to say the least. I love Goodwill. Thrifting truly does put me in my “happy place,” and I’m thrilled to get the opportunity to post about it! 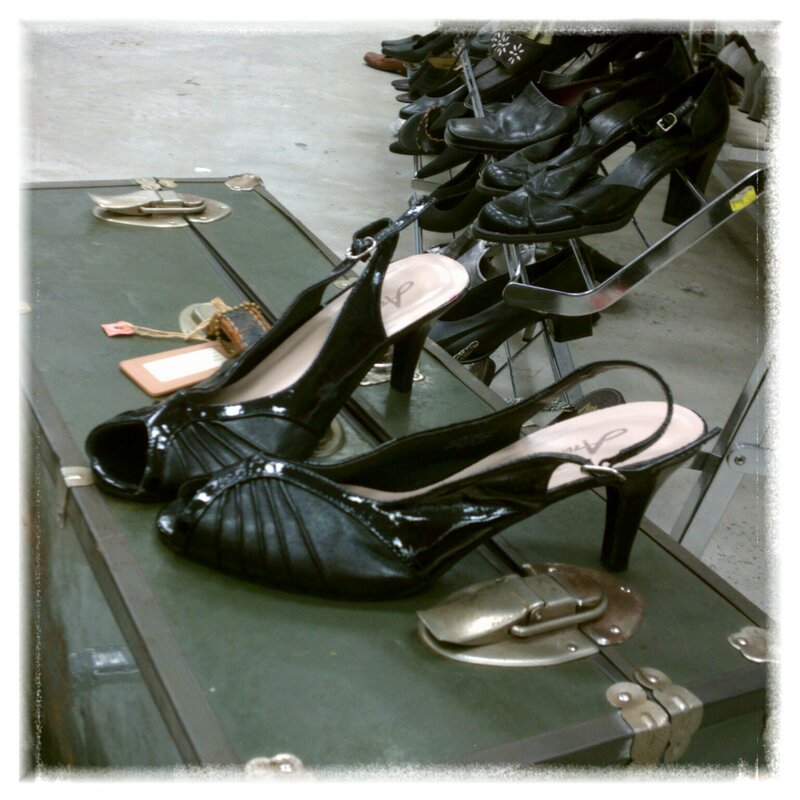 I live about 3 minutes from the Goodwill Clearance Center in West Columbia, SC, where Sundays the $1.10 per pound price drops to 50% off. 50% off day is particularly good for landing killer vintage housewares, but when it comes to Halloween costumes, there is no better resource for the creative and value-conscious! 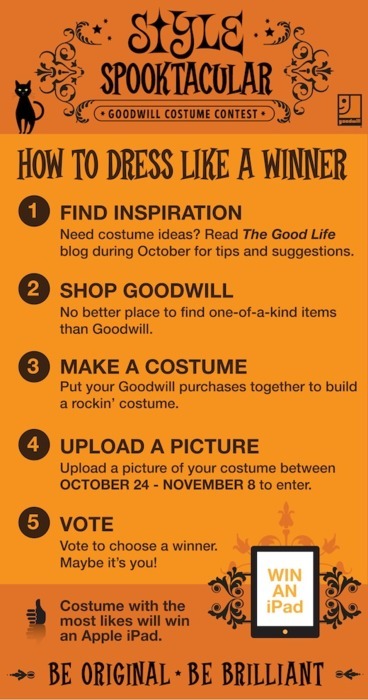 In fact, Goodwill is giving an iPad to the craftiest costume creator right now! 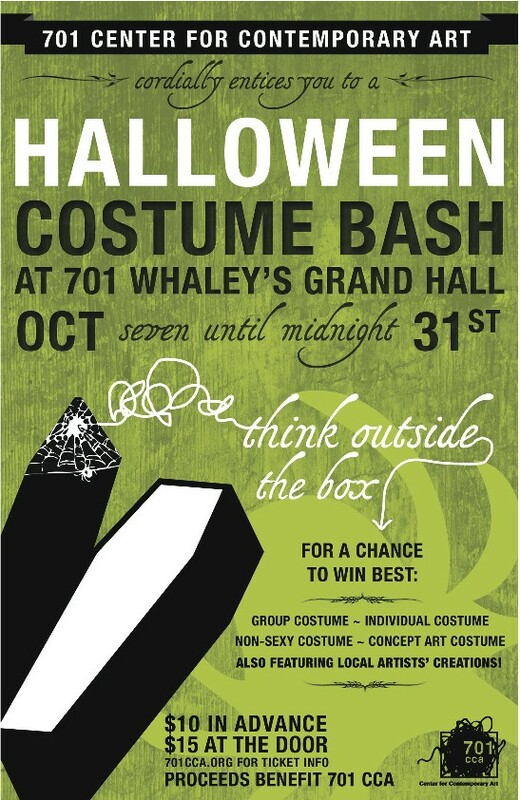 The “Style Spooktacular” Goodwill Costume Contest is easy-breezy and runs Oct. 24 – Nov. 8, 2011. See? 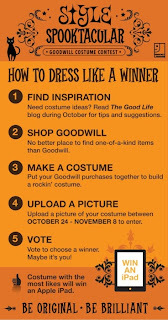 Just get your costume duds at Goodwill, upload a photo to their contest app on Facebook, then spread the word and vote! The costume with the most “Likes” wins the iPad. Brilliant. I recently found some old-timey grammar flash cards at the Goodwill Clearance Center. How could I not bring these beauties home? It looks blocky in the photo but fits remarkably awesome-ly. > Perhaps because it is a BOB MACKIE!? That’s right, Bob Mackie, the designer of evening gowns you might find, in, say, the Miss America pageant. So what do you have when you put all of these together? Refrigerator Magnet Poetry, of course! So, where will the artful costume-makers be on Monday, October 31? On Halloween night, the biggest, baddest costume party around will be the Halloween Night Costume Bash at 701 Center for Contemporary Art. The party will take over the entire building and parking lot at historic 701 Whaley in downtown Columbia, SC! Judging the costume contest are 23 local celebs, from Cola Mayor Steve Benjamin to The Shop Tart to Morihiko, Conductor of the SC Philharmonic, with local media, fashion designers, art professors, and design mavens rounding out the list. Bring it! Before we part ways, I’d like to wrap up with a little bit of love for Goodwill in general. I landed these leather Tony Lama cowboy boots recently for maybe $1.15 or so at the Goodwill Clearance Center. I wear them at every opportunity now that it’s boot weather! Also, I get a lot of compliments on them, even though they’re a little beat-up. The thrifted look is in, y’all. For reals. These disco pumps and this vintage-look, army green trunk were nabbed, by me, at the Garners Ferry Goodwill a couple of weeks ago, too. And I’ll be honest with y’all: I scored some pristine, vintage Yves St. Laurent pumps in navy fabric at the Garners Ferry Goodwill a couple of months ago, too. I’m not the only one who gets killer looks at Goodwill. Twice in recent weeks, I’ve run into my friend Dana Bruce, the Executive Director of the Palmetto Chapter of the Juvenile Diabetes Research Foundation, sporting some mad Goodwill style. Everything in her outfit is from Goodwill! J. Crew & Banana Republic. The dress and the shoes are both from Goodwill. GENIUS!! I wouldn’t have never thought of that costume!